Digital Pedagogy Lab 2017 Fellowships (Deadline 01/25)Because this is what scholarly, pedagogical work should look like. – SEHD Impact! Because this is what scholarly, pedagogical work should look like. 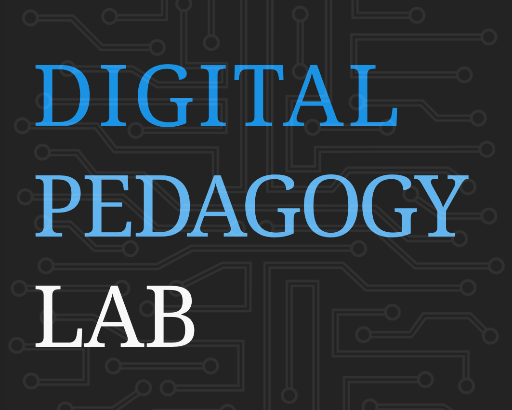 Join us this Summer at the Digital Pedagogy Institute. Send questions/inquiries to Brad Hinson or Remi Kalir. “Critical Pedagogy, in particular, positions itself as a response to oppression, and as such some of the most powerful voices in Critical Pedagogy have risen out of marginalized communities. The work we’ve done at Digital Pedagogy Lab and Hybrid Pedagogy has been not only inspired by the work of real struggle that came before us, but also built upon it. Hybrid Pedagogy, the journal, was started to give voice to those whose ideas, and whose communities of practice, had little or no platform within academia. For years, the journal has worked to sustain and even popularize a space where those voices could not just be heard, but could also contribute to and inspire a movement within the academy that might lend more agency to those oppressed by its bureaucracy, its less benign tendencies, its whiteness. Today, we are opening applications for fellowships at the 2017 Institute, which will be held August 7 – 11 in Fredericksburg, VA. Fellows at the 2017 Institute will be asked to lead a 75-minute workshop, to attend and contribute to one track, and to blog about their experiences. Each fellowship will include registration fees and a $1,000 stipend to defray the cost of travel and lodging. Diversity, News digped, diversity, Technology. permalink.